FORT LAUDERDALE/DAVIE, Fla. – Nova Southeastern University (NSU) is pleased to announce the appointment of Barbara Sageman, M.B.A., as the university’s new executive director of alumni relations and annual fund. She brings more than 20 years of experience in higher education with a focus on alumni relations and financial giving to this new role. In this position, Sageman will expand the reach and engage alumni for the growth and sustainability of NSU. She will be responsible for the development and implementation of a comprehensive and strategic alumni relations program that communicates the excellence and needs of the university as well as the creation of opportunities for alumni to engage with NSU. She joins NSU from a private university where she served as the director of alumni affairs and was a senior member of the advancement leadership team. She has extensive experience in developing successful strategies for alumni relations program and giving campaigns that support and grow the annual fund, with results that increase engagement and revenue projections. Previously, she was with Florida Atlantic University where she held roles in career, community and business development within the College of Business. Sageman is involved in numerous organizations and affiliations. 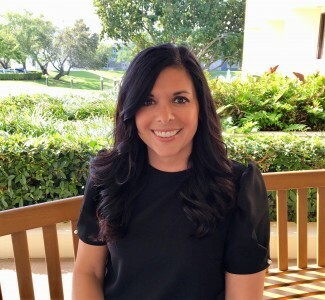 She is a member of the Association of Junior Leagues International, the Association of Fundraising Professionals, the Council for Advancement and Support of Education, the National Association of Colleges and Employers and she is a graduate of Boca Leadership Class of 2012. Sageman received her bachelor’s degree and master’s degree from Saginaw Valley State University in University Center, Michigan. She resides in Delray Beach.